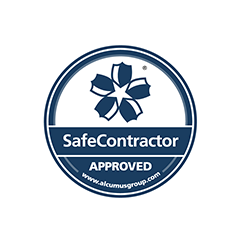 For the 12th year in succession, we are pleased to announce that we have successfully been awarded SAFECONTRACTOR accreditation. This accreditation serves an important role in providing both our existing and potential customers on the ongoing commitment and emphasises that the Company applies towards the manner in which we conduct our business in respect to Health and Safety. Our updated certificate can be viewed under Accreditations.